Sky Muster II — the second satellite for the National Broadband Network — was successfully launched at 7.30am AEDT from the French Guiana Space Centre, NBN has announced. High altitude wind direction yesterday delayed the planned launch. NBN’s first satellite, Sky Muster, was launched last October. Some 30,000 premises currently receive Internet services through Sky Muster. 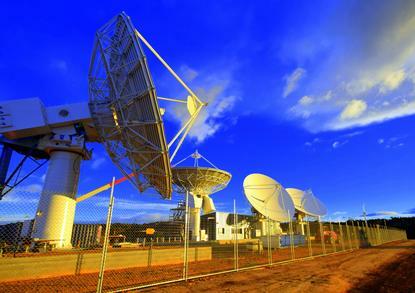 In total, around 400,000 premises are expected to use NBN’s Long Term Satellite Service. Combined, Sky Muster and Sky Muster II will offer bandwidth of 135 gigabits per second. Wholesale speeds of 25/5Mbps are available through the service. NBN is aiming for at least “several thousand” and potentially up to 10,000 activations a month on the LTSS. “Today’s successful launch of Sky Muster II marks the next step in delivering our world-leading satellite broadband service,” NBN CEO Bill Morrow said in a statement. “This service is already helping to improve healthcare outcomes by connecting remote patients to city specialists, delivering access to a new world of educational opportunities for kids in the bush and increasing productivity for local small businesses.